Details: Embroidered team badge and Manufacturers logo. 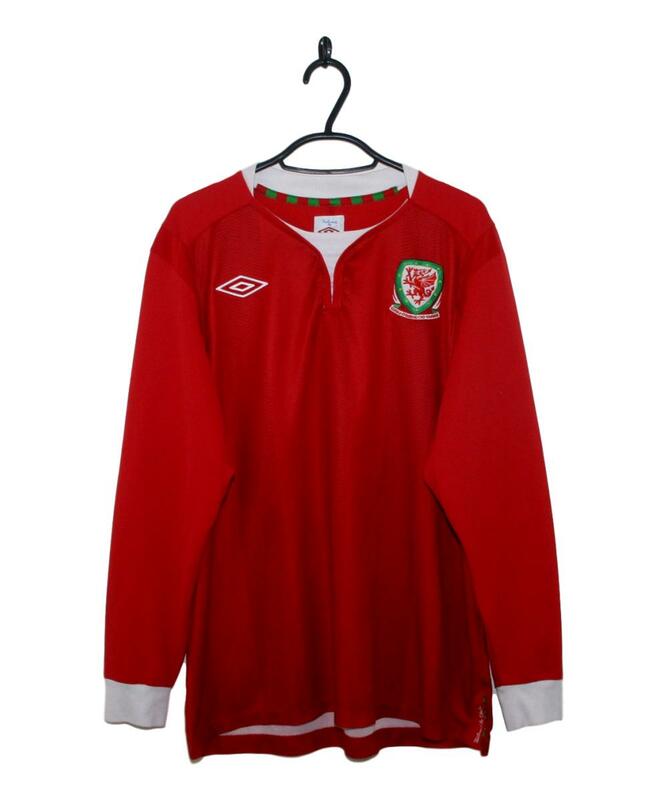 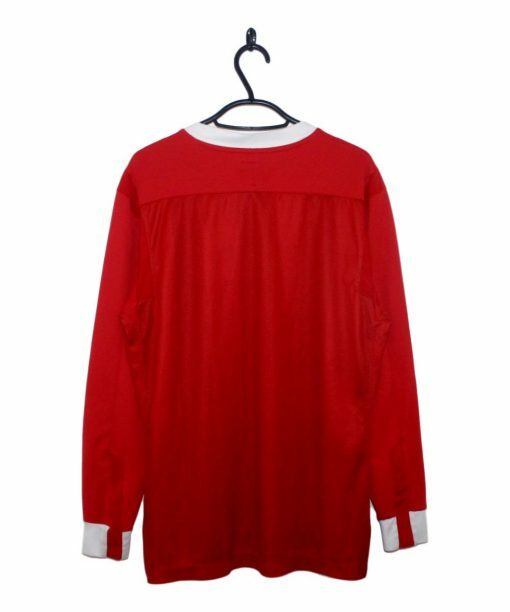 The 2011-12 Wales Home Shirt made by Umbro is red with subtle stripes made up of dark red zigzags. 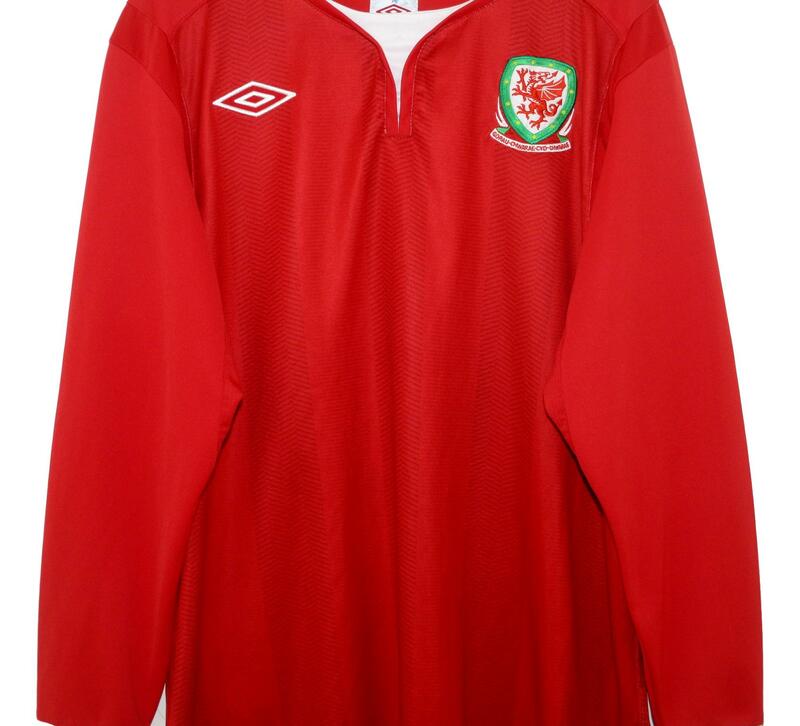 The collar and cuffs are coloured white as is the Umbro logo on the right breast. On the left breast is the Wales badge.